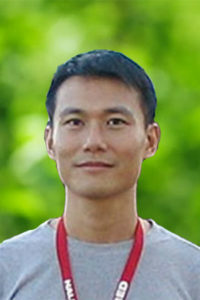 My research interests are in the area of optimizing oil and gas production based on maximum utilization of limited data available to petroleum engineers as well as inventing new procedures to interpret reservoir engineering data with the use of different mathematical techniques and algorithms. For example, we have used artificial intelligence to aid the interpretation of well test data, the ellipse algorithm to process caliper log data, multiresolution wavelet analysis to process long-term pressure data and characterize similarities among geostatiscal realizations, and nonlinear regression to estimate original gas in place of multi-layered commingled gas reservoirs. On-going research works include predicting future inflow performance of oil wells, using artificial neural networks to predict the most accurate correlation for vertical flow in oil wells and critical gas velocity for liquid loading in gas wells, deconvoluation algorithm to determine production rate for constant-pressure production in advanced decline curve analysis, and genetic algorithm to optimize well locations. Athichanagorn, S. and Horne, R. N.: “Automatic Parameter Estimation from Well Test Data Using Artificial Neural Network”, paper SPE 30556 presented at the 1995 SPE Annual Technical Conference & Exhibition, Dallas, TX, October 22-25. Athichanagorn, S., Horne, R.N., and Kikani, J.:” Processing and Interpretation of Long-term Data Acquired From Permanent Pressure Gauges”, SPE Reservoir Evaluation & Engineering (October 2002), 384. Leehiranyapong, S. and Athichanagorn, S.: “Implementation of the Ellipse Algorithm to Process Caliper Log Data”, paper presented at the Conference on Mining, Metallurgical, and Petroleum Engineering, Prince of Songkla University, Songkla, Thailand, August 21-22, 2003. Wongpratoom, L., Chewaroungroaj, J., and Athichanagorn, S.: “Comparison of Vertical and Horizontal Injectors for Waterflooding Operation in a Bottom Water-drive Reservoir”, paper presented at the Conference on Mining, Metallurgical, and Petroleum Engineering, Prince of Songkla University, Songkla, Thailand, August 21-22, 2003. Athichanagorn, S.: “Comparison of Geostatiscal Realizations Using Wavelet Analysis”, paper presented at Hanoi Geoengineering 2003 International Workshop, Hanoi, Vietnam, December, 2003. Laopom, W., Athichanagorn, S., and Pumjan, S.: “Grouping Similarities among Geostatistical Realizations of Reservoir Properties Using Wavelet Multiresolution Analysis”, paper presented at the Conference on Advanced Technology in Mining, Materials, and Petroleum Engineering, Chiangmai, Thailand, December 1-3, 2004. Gardner, A.B., Athichanagorn, S., and Chewaroungroaj, J.: “Application of the Layered Stabilized Flow Model to Estimate Original Gas in Place of Multi-Layered Commingled Gas Reservoirs”, paper presented at the Conference on Advanced Technology in Mining, Materials, and Petroleum Engineering, Chiangmai, Thailand, December 1-3, 2004. Well test analysis, optimization, artificial intelligence, wavelet analysis.